Faaborg Museum is a Gesamtkunstwerk. It is a complete art project, thought through from the building’s impact as a whole to the tiniest details and to the overall design of the furniture. The entire concept is executed to the highest quality of craftsmanship. 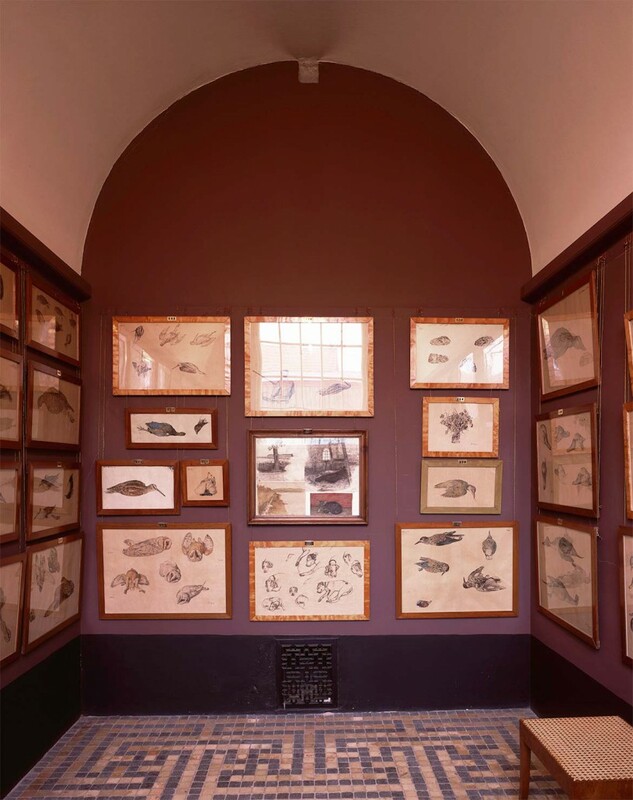 The Museum’s fixtures and fittings resonate with the vibrant wall colours, the mosaic floors, the rooms’ dimensions and the ‘salon-hang’ of works by the ‘Funen Painters’. Archive with furniture by Carl Petersen and Kaare Klint and wall paintings by Johannes Larsen. 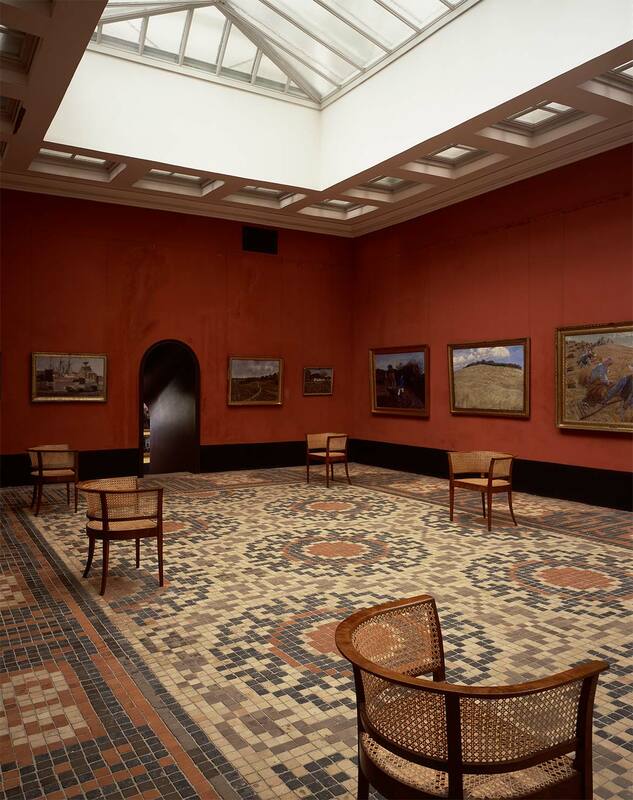 The furniture, its materials and craftsmanship, created a special connection between the Museum’s architecture and the paintings. The Museum and its furniture are an hommage to excellent craft skills and to an overarching concept which draws it all together, namely that synergy of art and craft which was widespread across Denmark and beyond at the beginning of the 1900s. As architect Carl Petersen designed the decorative elements for the ventilation grills, door handles and functional lamps, while he custom-made the furniture in collaboration with a young designer Kaare Klint. The entire construct had to resonate with the Funen paintings and Kai Nielsen’s sculpture. Gallery bay 2 with watercolours and drawings by Johannes Larsen. The Museum’s neo-classical architecture with its columns and coffered ceiling point to another place and another time other than that of the ‘Funen Painters’ with their work depicting ploughed fields and flowers displayed on a window-sill. But the focus on the countryside and natural materials united everything together. 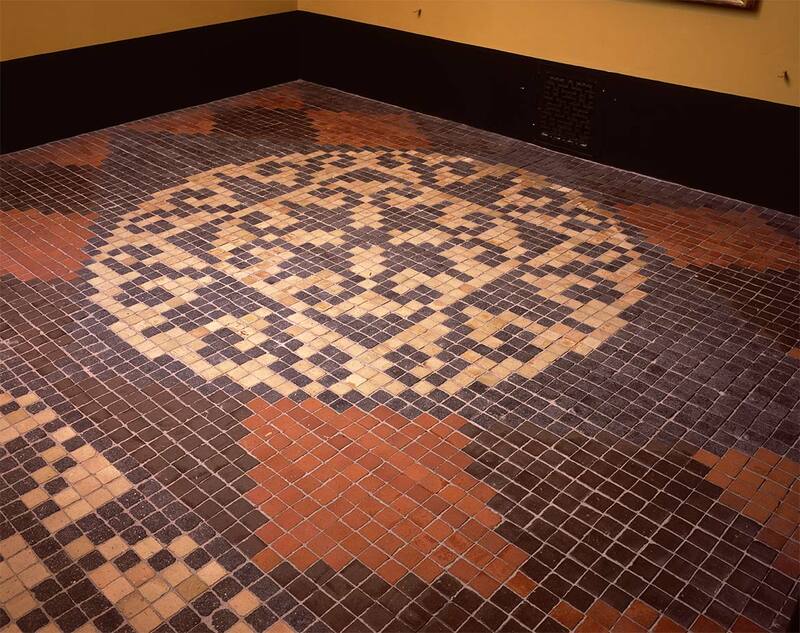 The Museum’s tiles and floor mosaics were metaphorically and literally built from the soil of Funen. As the artists emphasised, the Museum had grown ‘up from the very soil of the town’. Indeed this foundation was financed from the fruits of the land as Mads Rasmussen had created an art collection through the success of his food-production factory. Unlike urban art museums, this Museum celebrates the rural and the meaning of the countryside, which Carl Petersen emphasised in his choice of materials. Main painting gallery with paintings by Fritz Syberg, Johannes Larsen and Jens Birkholm. Faaborg Museum is something quite special. 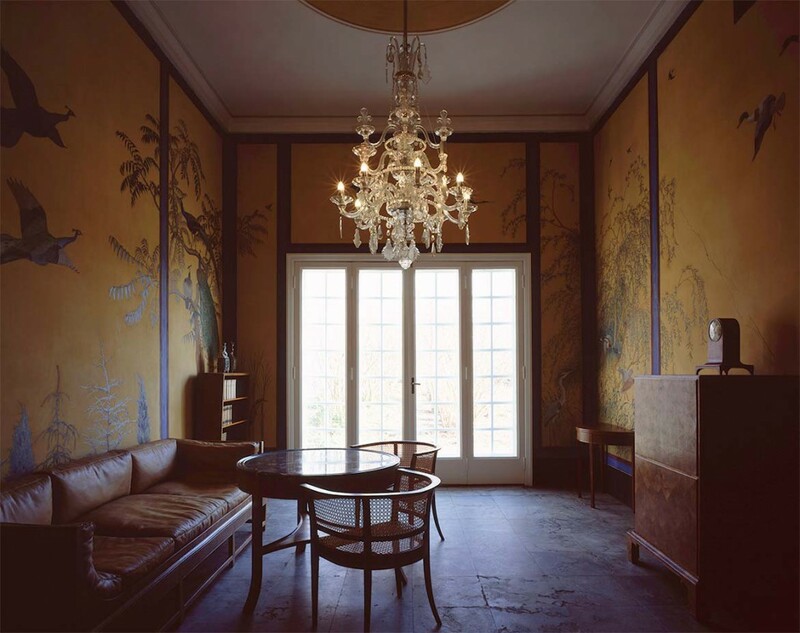 Built to house works by the Funen Painters – and a complete work of art in itself comprising painting, sculpture, architecture and furniture design. The Museum is an architectural gem and the ‘Faaborg Chair’, which was created especially for the Museum, is an iconic piece of Danish modern furniture design.